If your computer lacks a DVD drive, you can use a USB flash drive to install Windows 10/7 to your PC. Creating a windows 10 boot USB is not difficult. 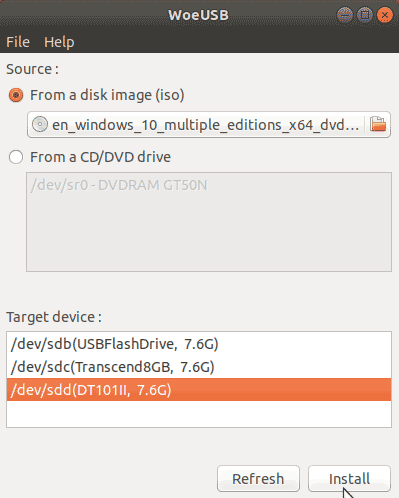 In this tutorial I am going to explain how to make Windows 10 bootable USB flash drive within both Windows and Ubuntu operating systems. In windows we will use the windows usb dvd download tool, a free software provided by the Microsoft itself. In Ubuntu Linux we will use the WoeUSB tool, a free USB bootable software for Linux. Windows 10/7 ISO Image - We need Windows 10 Disk image to create a bootable USB flash drive. You can download windows 10 from this link. USB Flash drive - Windows 10 installer needs more than 4GB free space, 8GB Flash drive is ideal for the task. Download and install Windows USB/DVD Download Tool (Download from this link). Open the Windows USB/DVD Download Tool. In the step 1, Click on the browse button and Select Windows 10 ISO image, Then Click Next. 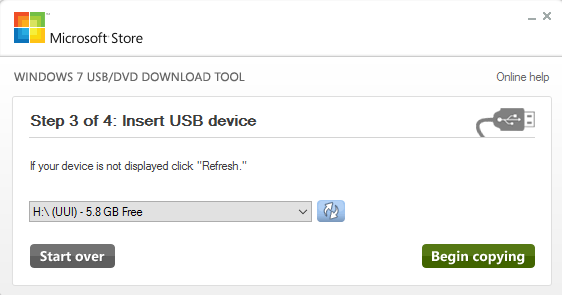 In the step 2, Click on the USB device button. Now, from the drop down menu, select the USB flash drive that you want to make bootable and click Begin Copying. The setup will ask for the confirmation before it creates the bootable USB flash drive. When the process completes, you will see the message: "Bootable USB device created successfully". 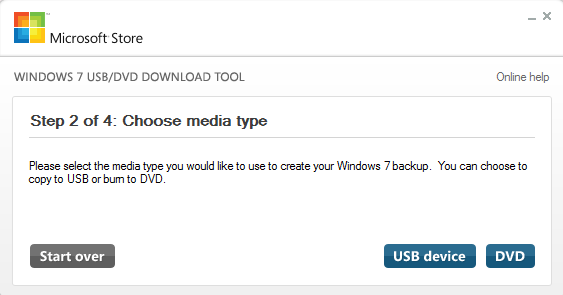 Even though it is called the Windows 7 USB/DVD Download Tool, the program can be used to create a bootable USB flash drive for any windows operating system (including windows server) on any Windows OS. The WoeUSB software is perfect to make windows 10 bootable USB inside the Ubuntu operating system. Run the df -h command and check if any partition from the USB has been mounted. If so, run the unmount command and unmount the partition. 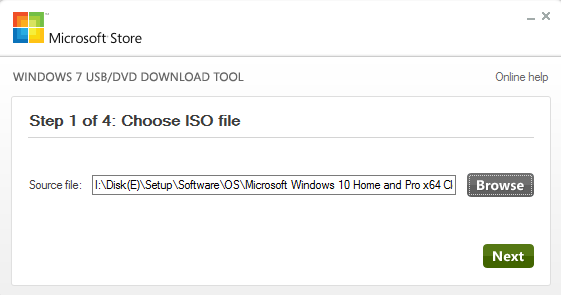 Under the Source > From a disk image (ISO), select the windows ISO image. Under the target device, select the correct USB device. When the process completes, You will see the message:"Installation Succeeded". Now you have created a bootable windows 10 USB pen drive. Next step is to install windows 10 from USB drive. To get started, plug the USB device into your computer and restart. At startup, Follow the onscreen instructions to open the boot menu. (You'll normally have to press a key such as delete, F2,F10,F11,F12 or esc). Within the boot menu you should be able to Find the option where you can choose to boot from a USB drive.